Here you are, in this cosmopolitan second most populous city of the EU, a home to numerous modern art galleries and ancient churches, boundless nightlife, and exceptional festivals. You want to make sure to check out the Brandenburg Gate as well as the Buildings of Reichstag and Bundestag - but there are other landmarks as well! There are many intriguing places to look at and a lot of promising activities to take part in. 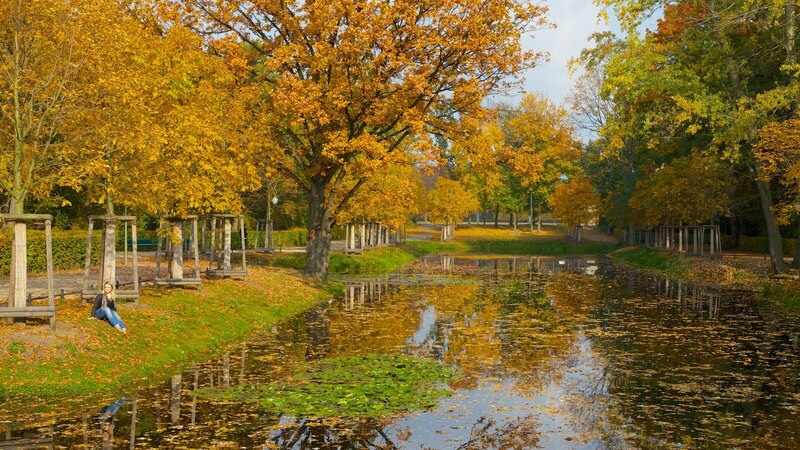 This colossal inner-city park is 520 acres of English gardens, monuments, wildlife, and idyllic ponds and lakes. It is free for anyone to wander, or just sit and watch the people go by. Tiergarten is also home to the world-famous Berlin Zoo (mentioned below). This park is just a nice place to take a break from the city's hustle and bustle, and there's nothing like relaxing with authentic German beer at one of the two on-site beer gardens after a long day of sight-seeing. This zoo is the oldest one in Germany and covers 35 hectares in Tiergarten. You will have a chance to see funny okapis and meerkats, white Canadian wolves, cute giant panda cubs and more. The animals are well-cared for and live in the most similar-to-natural habitat possible, while still allowing for close-ups with the exotic creatures. This is an especially great trip for families with kids, as they also have a petting zoo where children can feed the donkeys and goats, and the zoo also has child-friendly education exhibits about all of the animals on display. Pay a little extra and you can also visit the aquarium - well worth the expense! Boxhagener Platz ("Boxi" for true Berliners) is a marketplace, a cultural hub, a pub crawl center, and a time machine all at once. 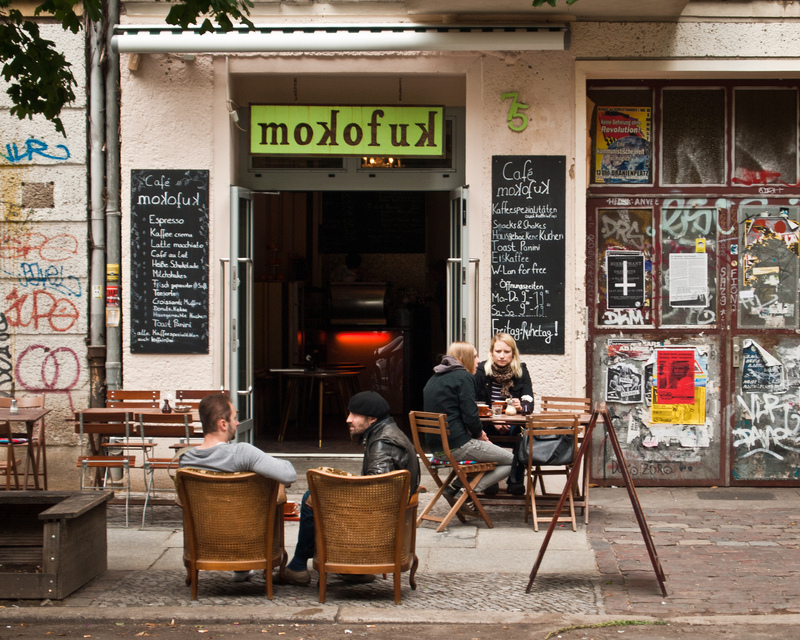 Called "The Paris of Berlin", this bohemian territory is soaked with the atmosphere of modern cafes and old theaters. There also is a marketplace where you can purchase an antique camera, some vegetarian food, vinyl records, vintage clothing, antique furniture, and more - you never know what treasures you'll find here. If you like architecture and abandoned urban spaces, you'll love the Tempelhofer Park. Never one to let land go to waste, Berlin has transformed a formerly abandoned WWII airport into a 400 hectare concrete jungle for cycling, rollerblading, jogging, and kite flying. It's also worth checking out the large community garden and local dog park. You can take a tour around the inside of the airport if you choose and find out more about this historically important airfield. The East Side Gallery is a 1316m long section of art along the east side of the historical Berlin Wall. There are more than 100 paintings made by artists from all over the globe. By 2000, many of the paintings suffered from vandalism and erosion, which caught people's attention and began the movement to preserve and restore this memorial for freedom and hope for a better future. Formerly a tram depot, this not technically a museum but it may as well be. The Classic Remise is heaven for people who like cars both old and new. You can find classical and modern vehicles the likes of which you have only heard of or seen in films, including well known Maserati, Aston Martin, or Veyron models. If you are a collector, you can also find car dealers as well as accessory and spare parts shops. Berlin definitely has something for everyone, whether you are interested in art, history, clubbing, or just wandering and taking in the city sights and people. Challenge yourself to visit as many places as you can - while you won't manage to see everything, you can always come back here again.